Regardless of the size of your business, installing a solar system provides several avenues to financial benefit. In addition to offsetting their energy expenses, business owners who make the solar switch are taking advantage of tax credits, accelerated depreciation, grants, the SREC market, and more to shrink payback times and turn the energy aspect of their business into a source of profit. For businesses with multiple facilities or locations, virtual/remote net metering is a great way to install a system on the most suitable site (economically and geographically) and reap the benefits of various meters. Virtual net metering allows companies to have one centrally-located system produce for multiple meters under the same ownership so that only one system is necessary to offset energy consumption for multiple facilities, then proceed to sell the excess production back to the local utility. Solar systems for multiple meters are sized to accommodate the power needs of all the buildings it needs to offset. If you’re a business with several buildings connected to different meters, you stand to benefit in a big way from the benefits that net metering and virtual net metering offer. Policies vary state-to-state on items such as a distance between locations and utility service areas, but Smucker’s will work with you to determine your eligibility for your specific system. Businesses are also eligible for a tax credit of 30% of your system cost from the federal government after installing their system (more info here), and if the 30% system-cost credit exceeds your tax liability for that year, it can be rolled over and applied to future years to ensure you receive the full benefit of the credit. This 30% is eligible on all systems put into operation before December 31st, 2019, at which point it gradually ramps down to 10% in 2022, where it goes away for residential systems but remains indefinitely for commercial installations. There are many state-level tax credits as well, so be sure to check your state’s eligibility. Now is a great time to get started! And what about depreciation? Solar systems for businesses are considered an accelerated depreciation investment with a cost-recovery period of only six years, meaning lower tax liability and a faster rate of return. Nearly eighty percent of your total system cost is eligible for depreciation, and the yearly percentage breakdown is as follows: Year 1, 20%; Year 2, 32%; Year 3, 19.2%; Year 4, 11.52%; Year 5, 11.52%; Year 6, 5.76%. 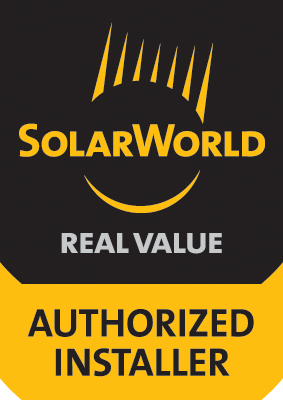 It’s just one more way going solar pays for itself in a reasonably short period of time. SRECs are green energy credits that are calculated off of your grid-tied system’s production that can later be sold on a green energy market to utility companies required to show proof of clean energy production. For every 1 Megawatt of energy that your grid-tied system produces, you receive 1 SREC when appropriately registered with your local SREC tracking system (this is not available in all states). The bigger the system, the higher the SREC production, so large commercial systems stand to profit considerably from the sale of their SRECs—and this is all in addition to and independent of savings on your electric bill. Click here to read more about the production, sale, and pricing of SRECs. In some cases, depending on geographical location, a small business may qualify as a “rural small business” according to guidelines of the United States Department of Agriculture and become eligible for a USDA REAP Program Grant for up to 25% of your system cost. In some cases, businesses with an annual revenue of over $7.5 million are still eligible for this grant. This grant, coupled with the 30% federal tax credit, can account for over half of your system cost. Learn more about the USDA Grant here. The financial benefits of making the switch to a commercial solar system are clear and calculable, and it offers great PR opportunities and “environmentally-friendly” marketing strategies for your company. Smucker’s Energy is well-versed working with business owners, and we know the importance of controlling as many factors of your operating expenses as possible. Take control of your energy costs and become your own power production facility. It’s affordable up front, it’s profitable down the road, and Smucker’s makes it clean, simple, and easy. Let’s start saving you money!